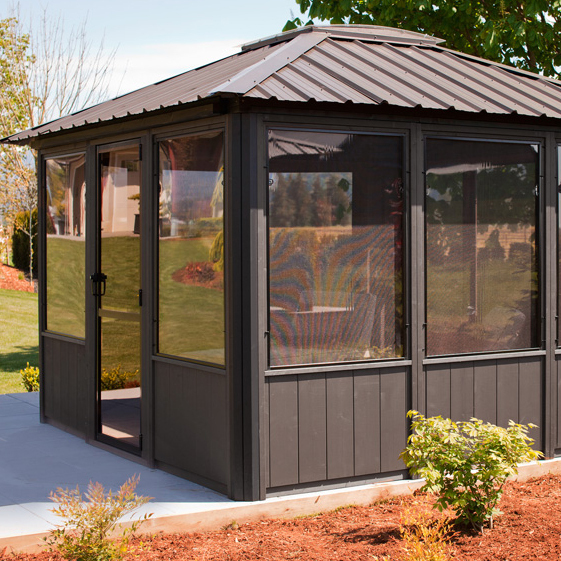 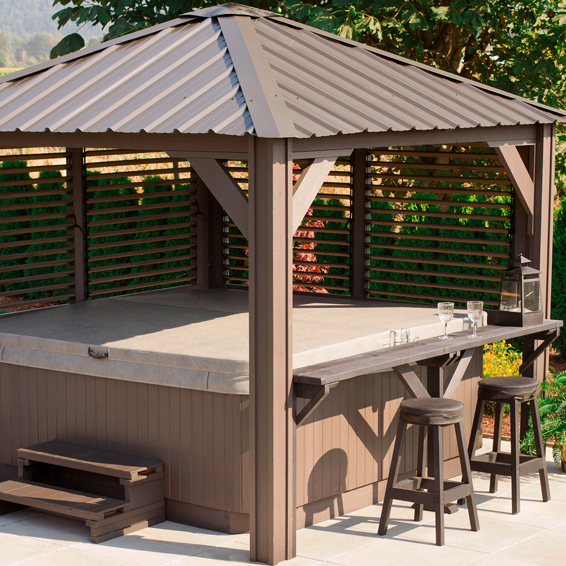 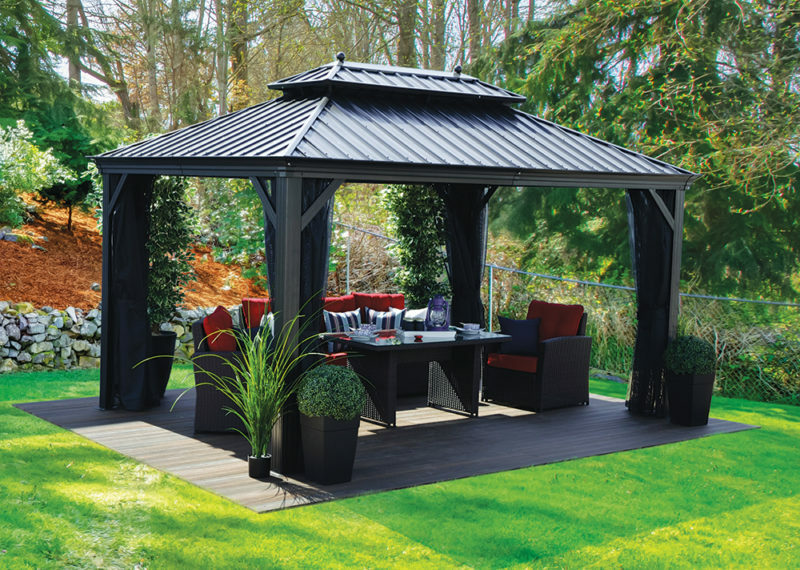 The Porto Gazebo is the perfect four-season shelter to complete your backyard oasis. 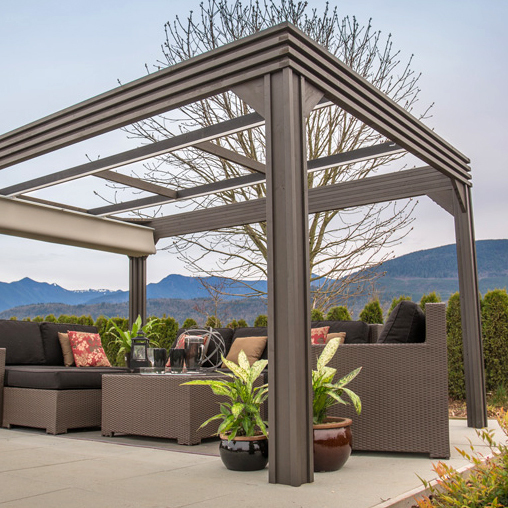 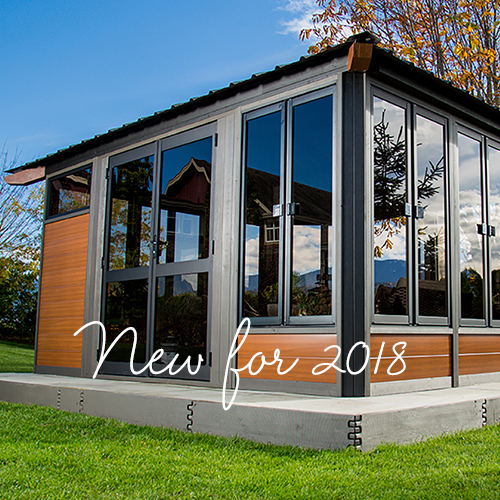 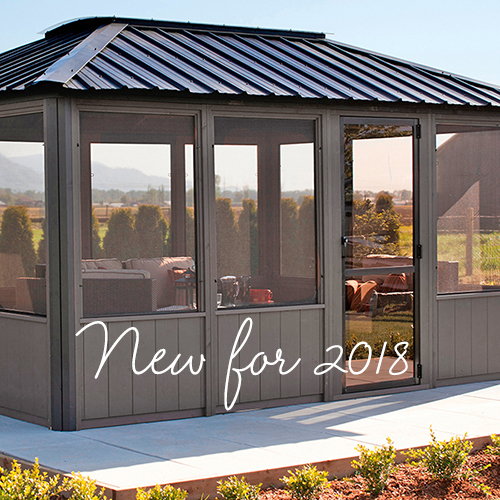 The aluminum and steel frame provides durability and strength for all season weather while the galvanized steel roof provides shade, and protection from strong winds, rain, sleet, and even snow. 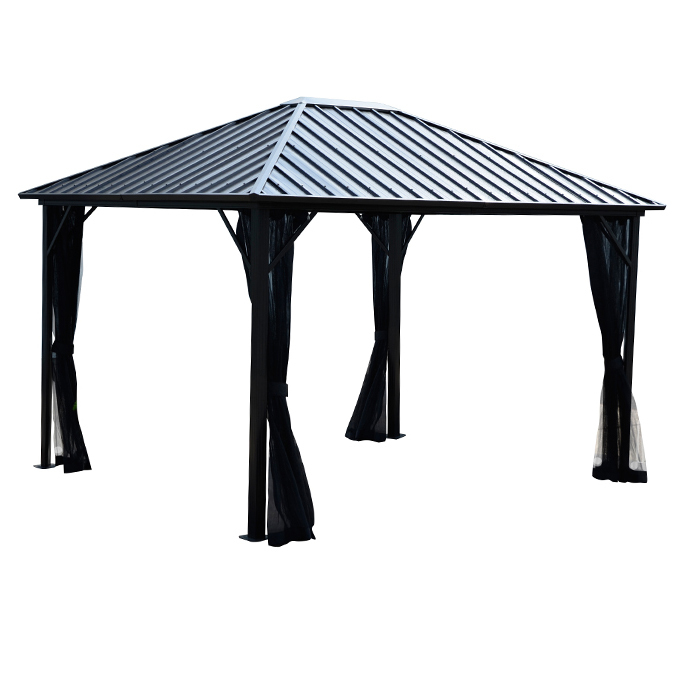 Two curtain racks work to provide privacy and protection from the elements while also giving a stylish look to this beautiful gazebo. 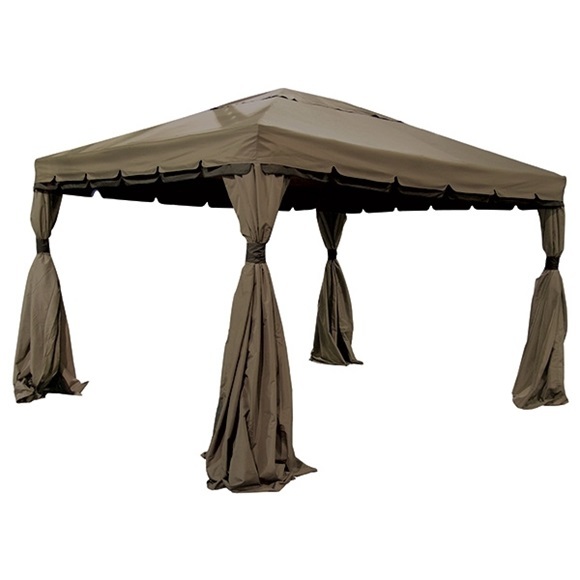 Make use of the textilene mosquito net during the height of summer when the bugs are bad and the party typically has to stop, but not anymore. 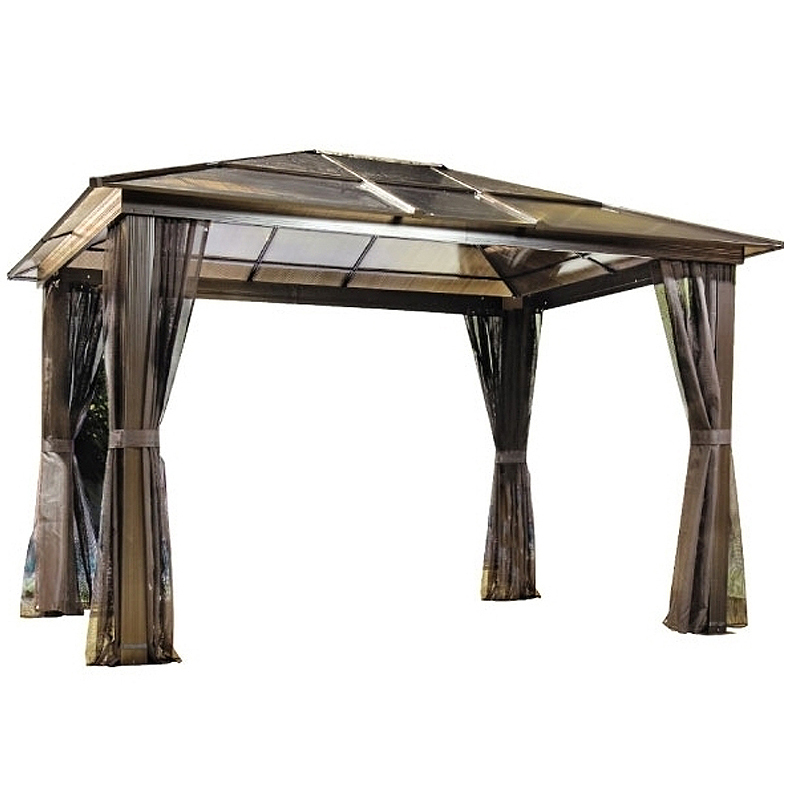 The mesh net keeps the fun out and the bugs out, while also acting as a mild privacy screen for you and your guests. 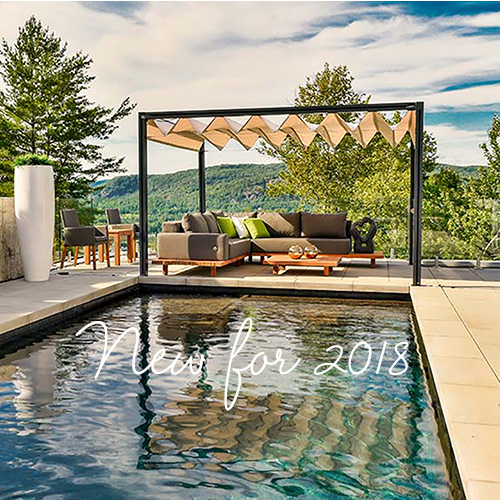 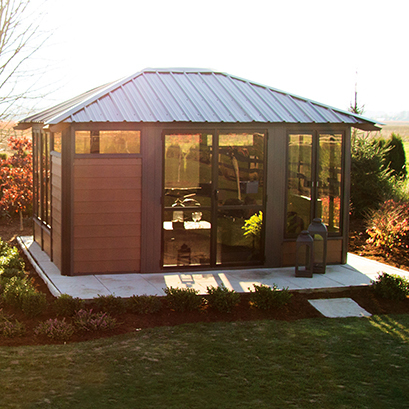 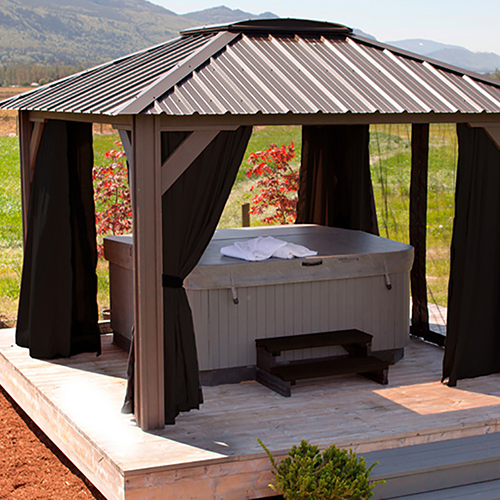 Please call us or stop by our showroom, and we'll help you create the backyard of your dreams! 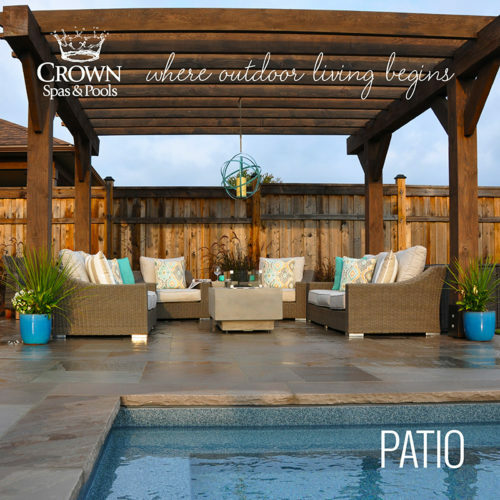 Crown Spas & Pools offers top of the line outdoor patio furniture to complement any backyard style.